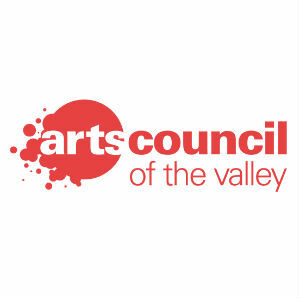 The April exhibition at Arts Council of the Valley Smith House Galleries features works by artists Kimberly Juda Souder and Robert Bersson, kicking off Friday, April 5 with a visit from Virginia Poet Laureate Henry Hart in honor of National Poetry Month. The ​ opening reception, 5 to 8 pm during First Fridays Downtown April 5, is sponsored by GreeneHurlocker, PLC. ​ACV’s Lead Sponsors are Union Bank & Trust (First Fridays Downtown) and Kathy Moran Wealth Group (Smith House Galleries 2019 Art Series). Smith ​House Galleries is located at 311 South Main St, Harrisonburg. Dr. Hart will speak on ​ My Life in Poetry at 5:15, and at 7 pm will read from his works. At 6 pm, Ms. Souder will discuss paintings included in her ​ A Cup of Sun exhibition; and Bersson will speak about his oil pastel landscape drawings displayed in ​ Inspired by Nature. Hart grew up in western Connecticut, where he helped run his family’s Christmas tree farm and worked as a handyman for local antique dealers. He studied English literature at Dartmouth College, and received a scholarship to Oxford University. There he wrote a doctoral dissertation on the poetry of Geoffrey Hill. Since 1986, Hart has taught in the English Department at the College of William and Mary, and – with Robert Crawford and David Kinloch – edited ​Verse​, an international poetry journal. During his tenure at the college, he has published four books of poetry, and his poems have appeared in Best American Poetry, The New Yorker, Poetry, TLS, Southern Review, Sewanee Review, Yale Review, Virginia Quarterly Review, and many other journals. Robert Bersson, the author of two art appreciation/art history textbooks, is an Emeritus Professor of Art and Art History at James Madison University. He has participated in many solo and group shows throughout his career. Kimberly Juda Souder earned a degree in K-12 Art Education from Montana State University, studied abroad in Italy and Mexico, and has been involved in a number of solo and group exhibitions. Although she learned to paint with oils, she currently works with acrylic paint on canvas or wood panel. She often uses realism, adding a touch of impressionistic brushwork and color techniques when she finds it appropriate. Smith House Galleries, 311 South Main Street, Harrisonburg, is open Monday-Friday, 9 am to 5 pm, and Saturdays (April 6 and 13) from 10 am to 2 pm. The Bersson and Souder exhibitions will be available through Friday, April 26.